From pastel paints and bold digital designs, to clever lighting and Ultra Violet velvet sofas—and even neutral yet iconic design classics—adding splashes of color and innovative, unique textures throughout your home is a delightful and easy way to signify the change in seasons. Coney Island Pink and Prospect green from Colorhouse—their blog is full of inspiring ideas for making color work. The team at Colorhouse paints is committed to “making the world more colorful and less volatile.” The paints produced by the company—from Portland, Oregon—are Green Wise-certified and free from nasties such as formaldehyde and methylene chloride. They are low odor, too, and come in recycled-content containers. 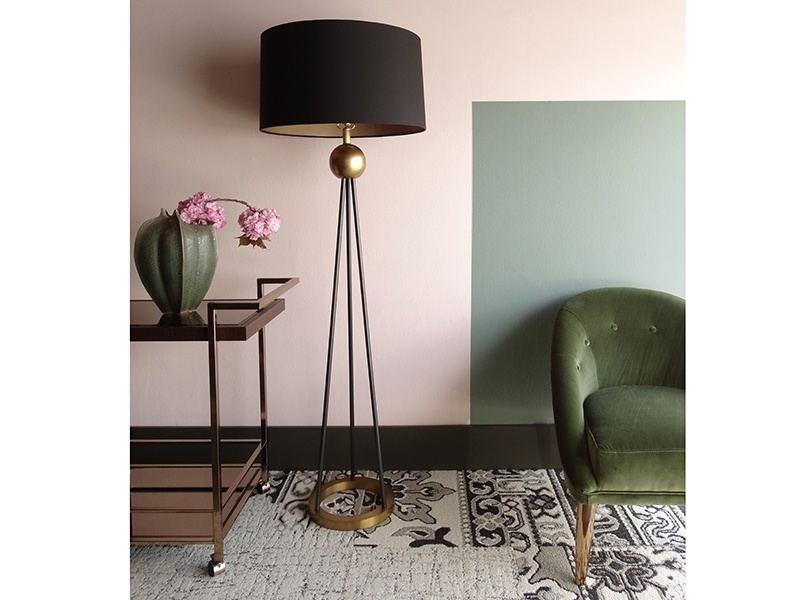 Colorhouse recently collaborated with influential interior designers AphroChic to produce Brooklyn in Color, a range of paints in pastel tones including the gray Cornice, Coney Island Pink, and green Prospect, all available in flat, eggshell, or semi-gloss finishes. Kevin Stamper’s artful furniture is often inspired by scenes he witnesses on his travels. An early-morning storm witnessed during a run, a field ablaze with floral color during an English summer, and exotic plum blossom have all inspired pieces of handmade furniture by Kevin Stamper. 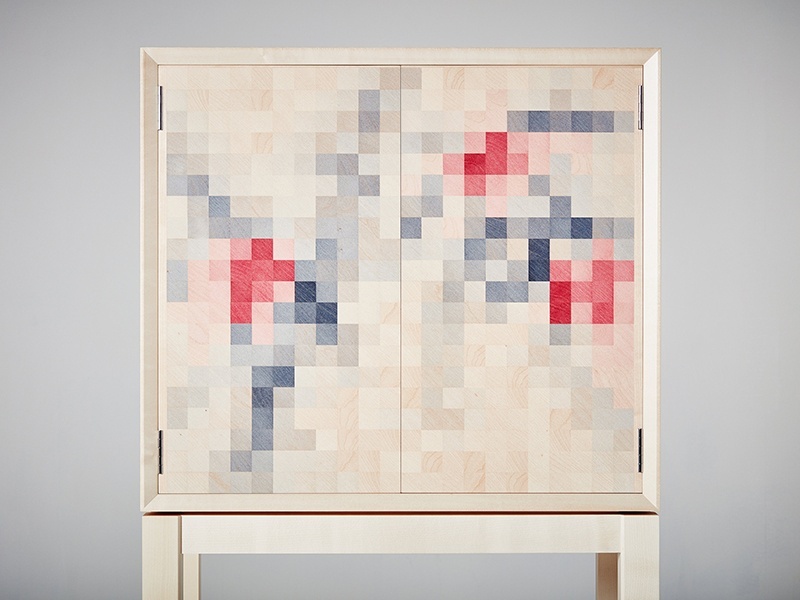 Stamper sketches his ideas in watercolor before digitizing them in very low resolution—the resulting pixelated images are then re-created in the individually colored squares that adorn his cabinets, sideboards, and side tables. Each design, says Stamper, aims to “capture the mood and emotion of the scene without trying to slavishly reproduce it.” And because colors are applied by hand and wood grain differs from piece to piece, each of Stamper’s creations is totally unique. 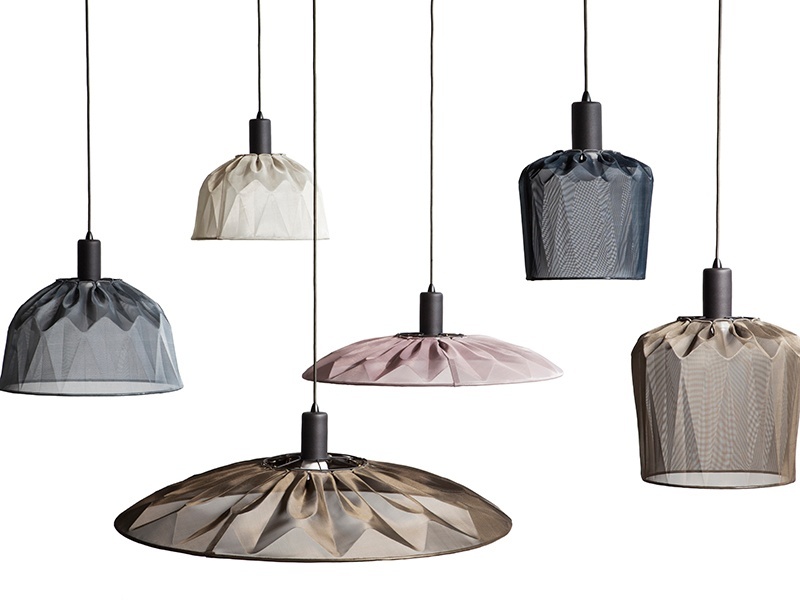 Each of Mema Designs’s architectural yet soft shades is handcrafted in its Johannesburg studio. It took Sian Eliot and Ari Geva—of South Africa’s Mema Designs—three years to finesse their woven aluminum lightshades. “I wanted to make lights using metal mesh because I knew it would be fantastic with light, performing as transparent or opaque depending on the angle,” says industrial designer Eliot. The lights are handmade from anodized aluminum fabric, a “tricky material to work with,” and the results are stunning. The lights come in a variety of shapes and colors, are lightweight, and are easy to install. 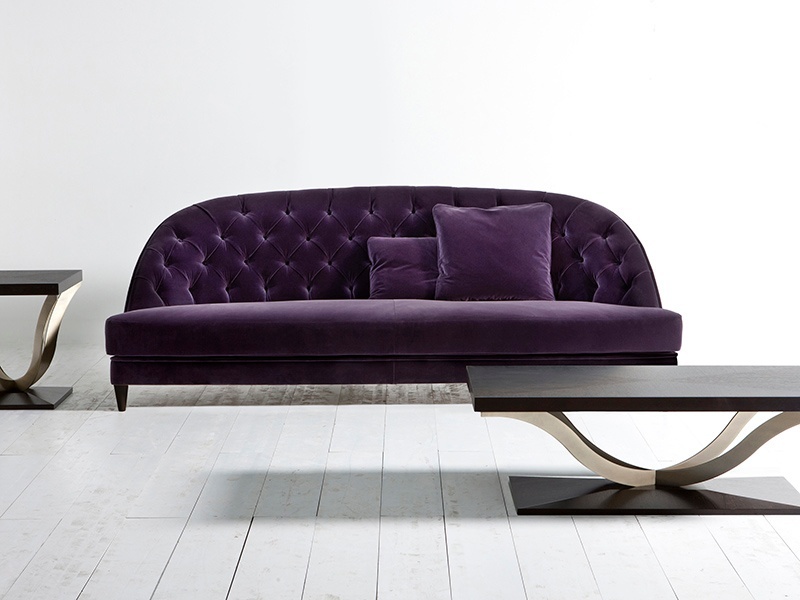 Add a touch of regal style to your home this spring with Opera Contemporary’s velvet sofa. The Pantone Color Institute has declared Ultra Violet the color of 2018. It’s a bold choice for interiors that, as showcased on this sofa, works brilliantly on soft furnishings and accessories. The elegant Dalila sofa, by Italian company Opera Contemporary, is now available in 2018’s color of choice, and features a smooth seat and deep-button upholstery on its curved back, all in sumptuous velvet. Founded in 2010 by Angelo Cappellini, Opera Contemporary has made a name for itself by cleverly reinterpreting classic styles such as Louis XV and Regency for the modern home. 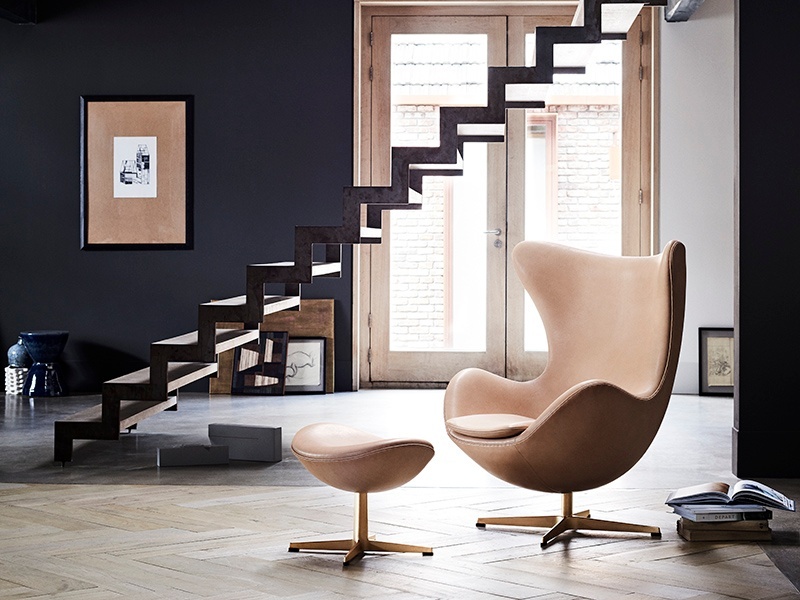 Arne Jacobsen’s iconic Swan, Egg (pictured) and Drop chairs have been reimagined to celebrate the 60th anniversary of their creation. and Drop chairs, custom-made in 1958 for the SAS Royal Hotel in Copenhagen. New celebratory versions of the design classics include sumptuous, soft-touch leather editions of the Egg and the Swan—each limited to 1,958 pieces—while the Drop is upholstered in fabric. The neutral shade goes with anything, and three complementary accessories are available—the KAISER idell floor lamp, an ottoman by Cecilie Manz, and a beautiful throw in ultra-fine merino wool.